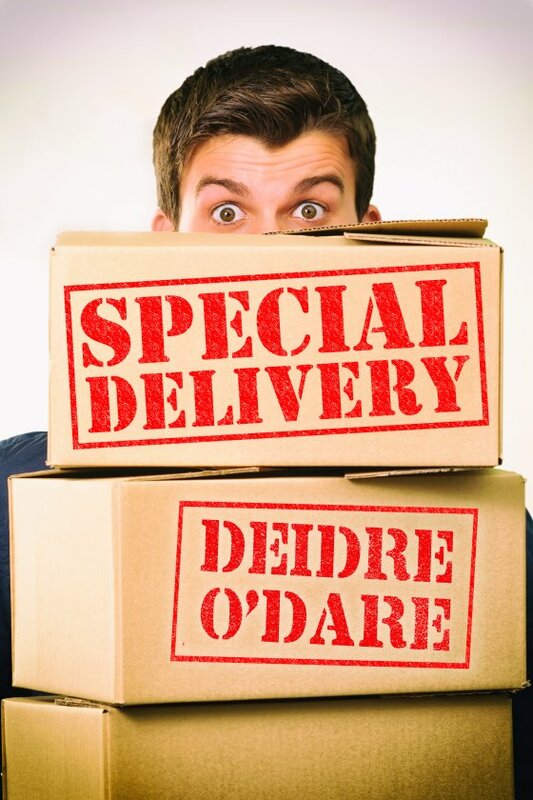 Special Delivery by Deirdre O’Dare is now available! Monte’s sporting goods store is teetering on the edge of collapse due to the economic problems. The small conservative eastern California town he chose for his dream project is not welcoming, even though he keeps his gay lifestyle quiet. Then big trouble and a gorgeous package delivery driver fall into his world at the same time. Are they somehow connected? Jeff, a special agent for Homeland Security, is working undercover to help bust a contraband and drug operation. Tracks lead to the small town of Cameron Creek, California. Who is the crime ring’s contact at this end? As a delivery driver, Jeff is scoping things out. When he meets Monte, he is smitten at once, but evidence begins to link this new friend to the case. Jeff has every reason not to pursue a relationship, but can he stop himself?